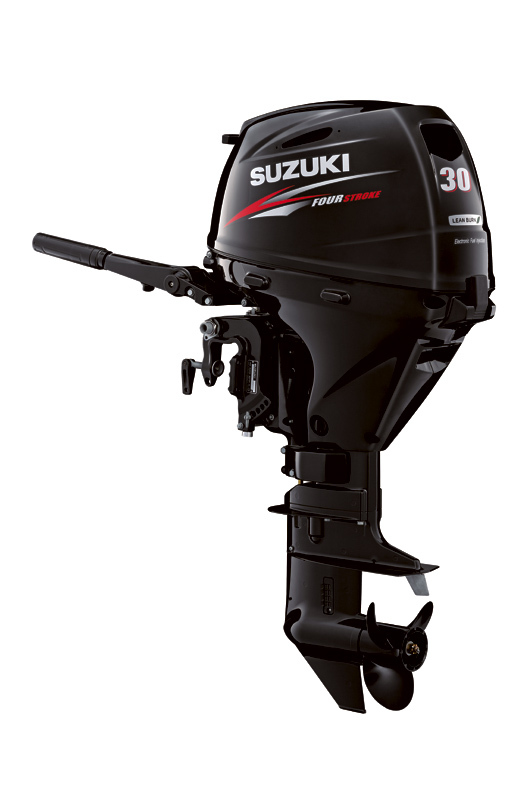 Suzuki says it has achieved the highest market share in the four stroke outboard sector in Europe last year. It's a proud boast for the engine manufacturer that is also mirrored at home with growing Irish sales. Sales of Suzuki marine engines in Ireland has been growing year on year for the last six years, according to Suzuki Ireland's Declan Maguire. 'We are not surprised that we are the number one choice for boaters across Europe, as our reliability and fuel efficiency records speak for themselves'. From the lightweight and portable DF2.5 to the award-winning power of the DF300AP, Suzuki says they have an outboard for every purpose and to match any transom, so customers really do have a great choice. The manufacturer launched several new models this year, the most recent being the DF200AP which is the first outboard in the world to feature a keyless start system. Suzuki Marine are exhibiting at the Southampton Boat Show from this morning to the 20th September. Young south coast boater Adam Brennan is rapidly building a strong reputation for himself within the Irish and UK boating communities. At just 17, he is still at boarding school in Ireland but has already secured himself a Super Yacht Cadetship with the UK Sailing Association when he leaves school. Alongside his academic career, Adam also manages 12 boats for customers around Kerry during the holidays and advises them on their boating requirements, with Suzuki being the outboard of choice for both his own boats and his recommendations to customers. In addition to all of this Adam is also the lead organiser of the 'Bull run for fun' which is a 74–nautical mile cruise in company from Kenmare Bay in Ireland to the iconic Bull Rock in the Atlantic. Adam founded this event when he was just 12 years of age and since then it has grown to be one of Ireland's top power–boating events. Not content with forging a career in the marine industry and organising his own events, Adam is also restoring a Delta Dash 5.5m RIB, which he is re-powering with a Suzuki DF140A outboard motor, which has been generously donated by Suzuki GB. The DF140A benefits from Suzuki's Lean Burn Fuel Control system and will deliver all the power and performance that Adam's RIB needs plus class-leading fuel efficiency. Whilst Adam is doing much of the restoration work to the RIB himself, he is calling upon the expertise of Suzuki Dealer, Marine Motors in Cork to rig the outboard. Suzuki's donation of the outboard to Adam is just one of the ways in which it will be participating in the Bull Run for Fun this year, as part of the company's celebrations to mark the 50th Anniversary of its very first outboard motor, the D55, which was launched in 1965. George Cheeseman, Sales & Marketing Manager for Suzuki GB's Marine Division, said, "When we heard about Adam's activities and superb credentials for someone so young, we were keen to support him. He is incredibly enthusiastic and as such he is a fantastic ambassador for our range of ultimate four stroke outboards." #TradeNews - Motor boaters looking for some featherweight power will want to consider two new Suzuki outboard models that punch well above their weight. At just 62kg each, the DF30A and DF25A are the lightest in their respective classes. But despite their lack of heft, Suzuki haven't scrimped on the innards. Both models boast a new battery-less electronic fuel injection system for quicker starts, smoother operation and better acceleration. Other features include roller rocker arms, an offset crankshaft, improved intake and engine cover ventilation and up to 15% increased fuel efficiency. Production begins shortly, with the first models expected in dealerships by May this year - just in time for summer! #joystick – Suzuki Motor Corporation has announced that it has a new Joystick Control System in development. The announcement was made earlier this month at the 2013 Japan International Boat Show in Yokohama. The new joystick system is meant to integrate seamlessly with Suzuki's proprietary drive-by-wire system that is available on the Suzuki DF250AP and flagship DF300AP outboard engine models. According to Suzuki, this new system will provide increased confidence to skippers as they manoeuvre their boats in close quarters and will increase the appeal of boating to a 'younger, more tech-savvy demographic'. Fancy a new or second hand RIB? 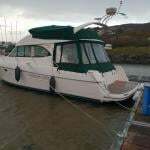 On the weekend of the 23rd and 24th October, Irish firm Redbay Boats on the Antrim coast will be holding a used boat and demo weekend. The firm will have special offers on selected models to beat the UK's VAT rise. A 'self-righting' demonstration on the latest Stormforce 650 is also promised. 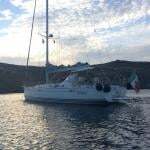 This boat is fitted with twin Suzuki DF90's with immersion proof hoods.